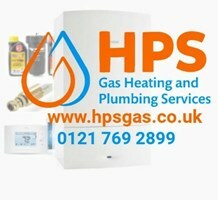 HPS Gas Heating & Plumbing Services - Central Heating Engineer based in Tipton, West Midlands. HPS was started to offer a specialized, local service within our home town of Tipton and the larger West Midlands area. We understand that time and cost are crucial to our customers so I have concentrated on our local Midlands region to make sure that our service is fast, efficient, cost effective and of a high standard. Full Central Heating System Installations/Service/Maintenance, New Gas Pipeline, to general plumbing. HPS engineers are Gas Safe certified and extremely competent in their field with 10+ years of combined experience ensuring only a high level of workmanship is maintained together with excellent aftercare and advice.